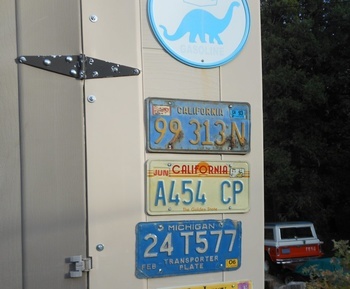 In Classic Cars > License Plates > Show & Tell. 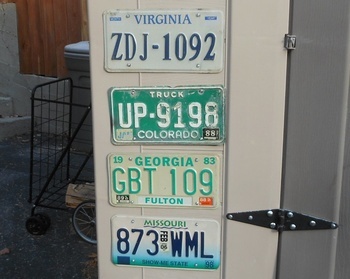 I have been looking for some low cost license plates for my shed for a few years. 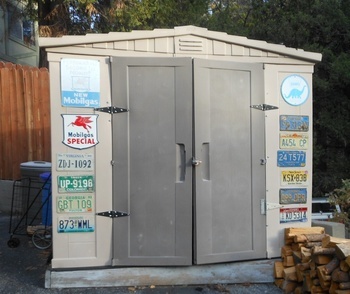 The shed is at the end of my driveway and being plastic is less than attractive. 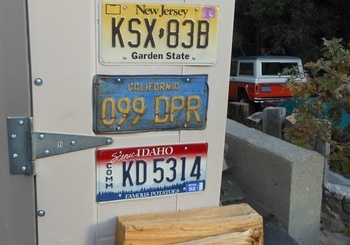 By festooning it with the plates and other low costs metal signs I figure it will make it more attractive for my neighbors and me. Low cost should a neighborhood kid feel the need to decorate his room with one. . Not a big problem but could happen. Do need a few more for the doors but what I have is a big improvement. I find it pleasing to see when I get home. 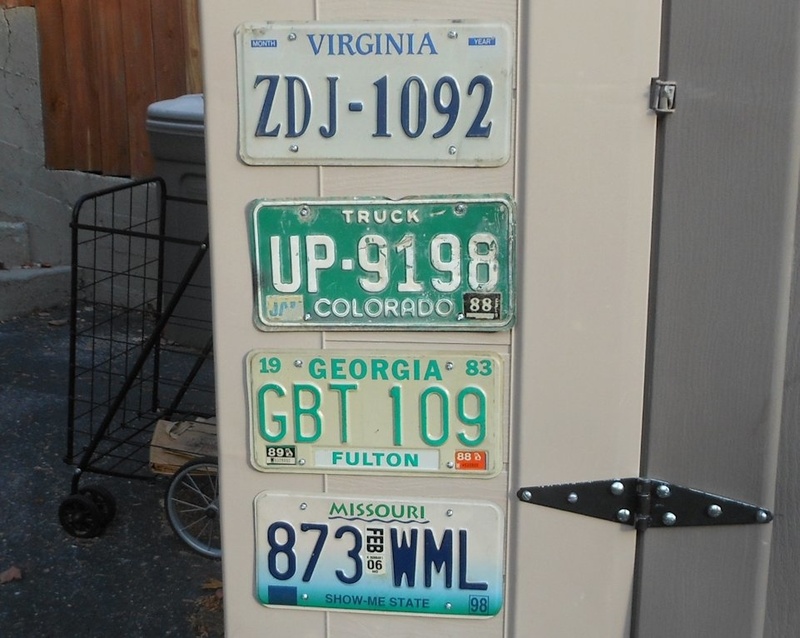 These plates are 1970s to present. A nice idea to decorate a necessary but unattractive item. Thank you very much Caperkid. That would be one way. And thank you very much ravage60. Thank you very much NevadaBlades. My whole yard is filled with stuff people can just take. 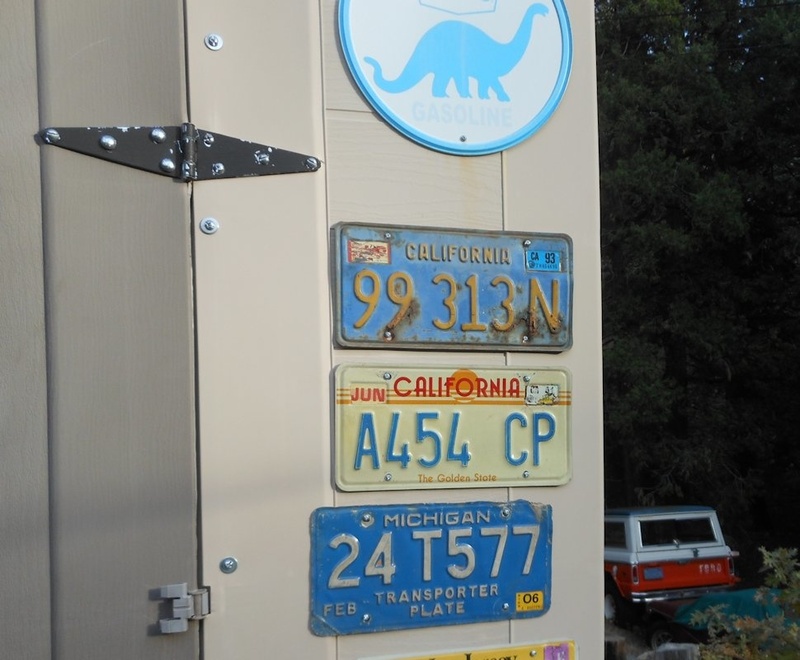 Nice and I still wish we had different designs of license plates like that. Where do you live again??? LOL.....! Thank you very much elanski. There are probably a few hundred variations. 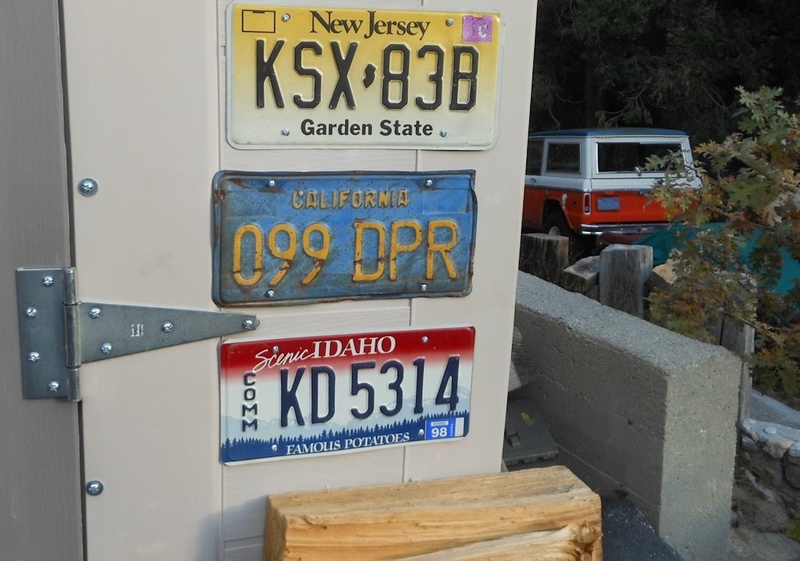 NevadaBlades I live in the San Bernardino Mountains.